Exercise is one of those things we like to say we do, but that few actually want to do – sort of like listening to other people talk about their vacation. 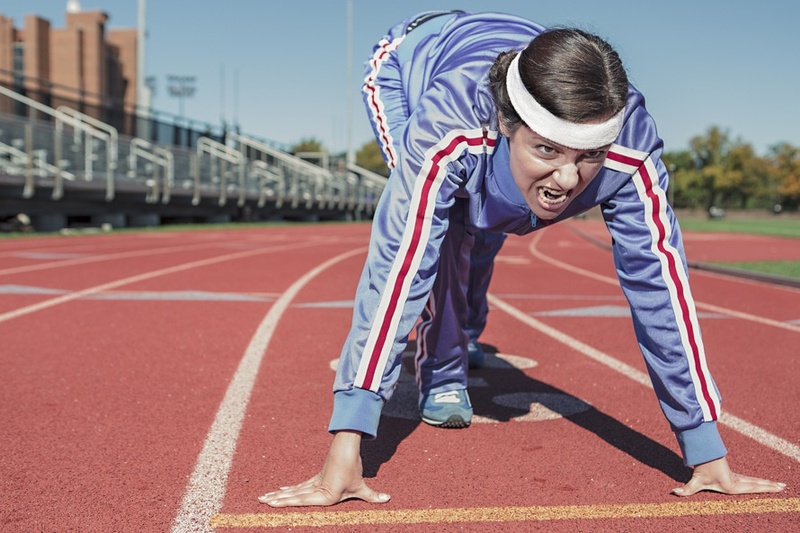 If you’re running a business or a startup though, exercise is something you need to do. Let me tell you why. A study conducted at Rhode Island College found that creativity was boosted both immediately and several hours after moderate aerobic exercise. Additionally, the level of creativity did not change significantly from immediately after to several hours later, meaning the residual effects of exercise on creativity were enduring. So what does this mean for you when you’re trying to run a business? Being creative is good, being uncreative is bad – this isn’t rocket science. Creativity leads to innovation, better problem solving, and resourcefulness, which are all essential to business. Those businesses that can’t generate the creativity they need often dry up and go under. This is partly the reason why many innovative businesses have invested in employee recreation and workout facilities. They understand that it’s not just something their employees want, but something that will help boost productivity. *Side note: I went running this morning before I started writing my blog and it only took me about 10 minutes to think of what to write instead of my usual 30 minutes. Seems legit. I probably don’t need to cite a study for this one because you’ve heard it countless times, but exercise can help relieve stress. Stress is more than abundant in the startup world. There’s so much pressure to perform, to succeed, and to meet the expectations of others. Young entrepreneurs in the startup world are notorious for using alcohol to cope with stress, but this is far less effective and not to mention worse for your health than exercising. If you really wanted to step it a notch and show your leadership skills, consider taking your team out to do something active like indoor rock climbing or a trampoline park instead of the traditional happy hour. Just a thought. A study published in the Journal of Health Psychology found people’s confidence rose as a result of exercising, regardless of performance. This means that even if you’re not a beefcake with a protein shake in one hand and 80lbs dumbbell in the other, you can still gain a greater since of confidence by just doing moderate exercise. While confidence may not be the most essential aspect to being a leader, it does play an important role. People are more likely to trust a leader who is confident as it helps assure them they are competent, which is one of the most important aspects of leadership. I know what you’re thinking, “thank you Captain Obvious.” Still, exercise offers numerous other benefits beyond the one’s already mentioned including lower blood pressure, lower cholesterol, and a lowers risk of diabetes. 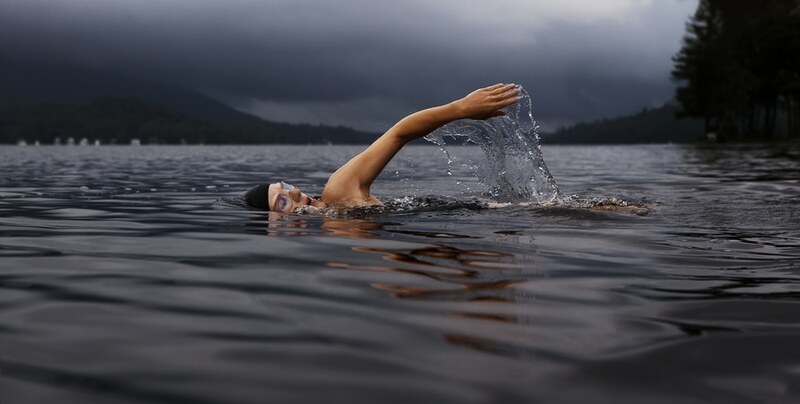 Exercising regularly has also been linked to having a stronger immune system. As you can imagine, good health is an extremely important part of running a successful business because of how time intensive it can be. If you’re out for a week with the flu, any number of things could happen while you’re gone, especially if you’re the main person running the show. Worse yet, extended health leave from things like heart attack or stroke can often lead small businesses to go under for good. Clearly exercise is an important part of running a successful business. Entrepreneurs might feel like they are too busy running their business to have to time to exercise, but it really it should be treated like any other business activity. Put exercise on your calendar and give it the same importance you would give meeting with investors. You’ll never have time for it if you don’t make time. 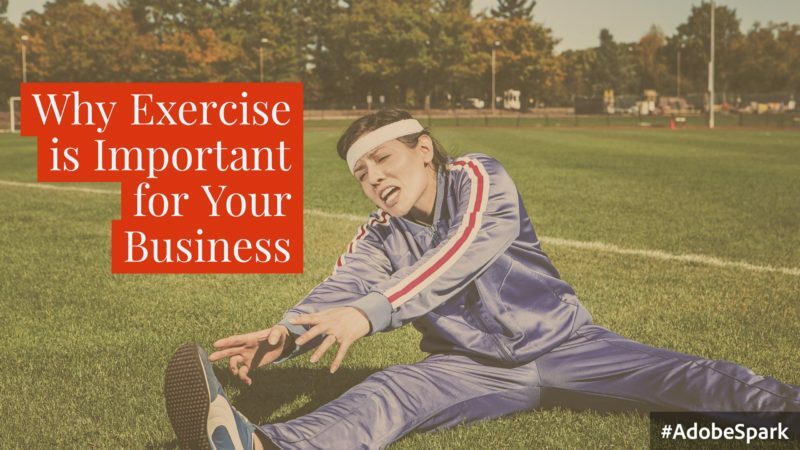 Do you think exercise is important for running a business? I’m interested to hear your thoughts in the comments below.